Omni’s Coloured Cast Machine Stretch Wrap is a cost-effective solution that offers you limitless opportunities for easy identification and product isolation as per the nature of the item being shipped out. Machine stretch wrap films enable maximum utilization of the available film and also simultaneously brings down labour cost. 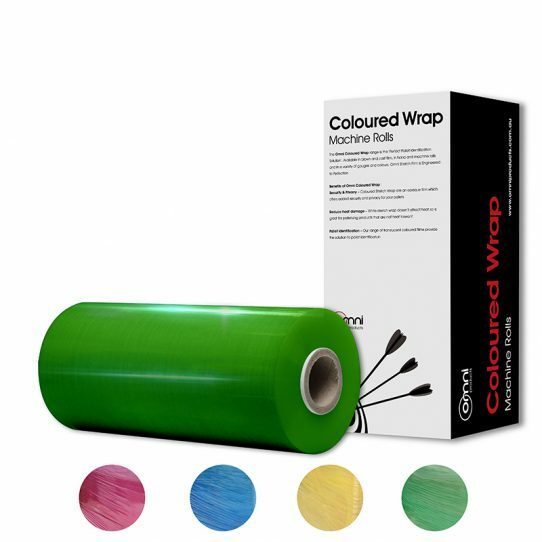 Coloured wrap like Green, Yellow, Red and Blue, also allows brand promotion and easy recognition which can be helpful in the long run to create a customer base. Colourful stretch wrap also allows to wrap temperature sensitive items which is not possible with black wrap.